Overview: Malaysia consists of thirteen states and three federal territories separated by the South China Sea into two regions, Peninsula Malaysia and Malaysian Borneo. Peninsular Malaysia shares a border with Thailand to the north. To the south is the island of Singapore. Peninsular Malaysia is also known as West Malaysia. 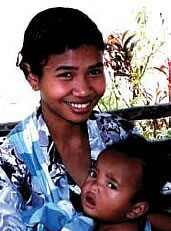 This people cluster encompasses a number of relatively small people groups that are indigenous to West Malaysia.